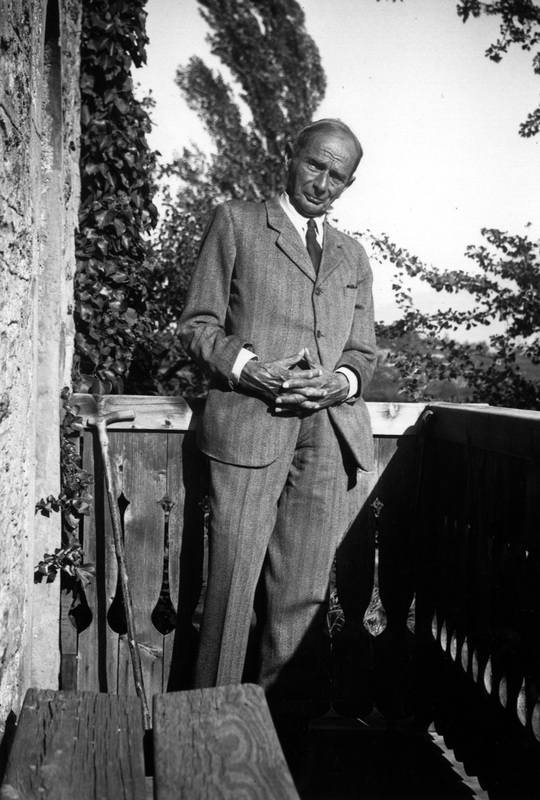 It is one of the tasks of the Rilke Foundation, as noted in the bylaws, to honor Rudolf Kassner. 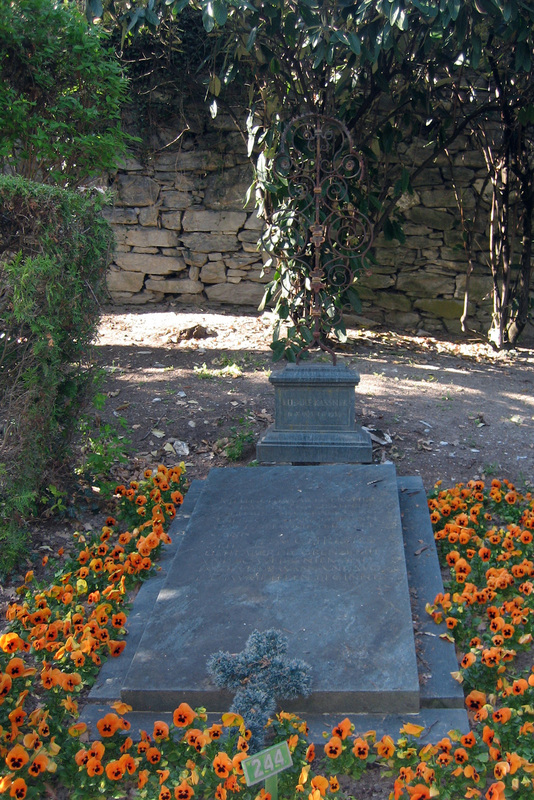 Kassner, one of Rilke’s friends, resided at various times in his life in Sierre and is buried there. 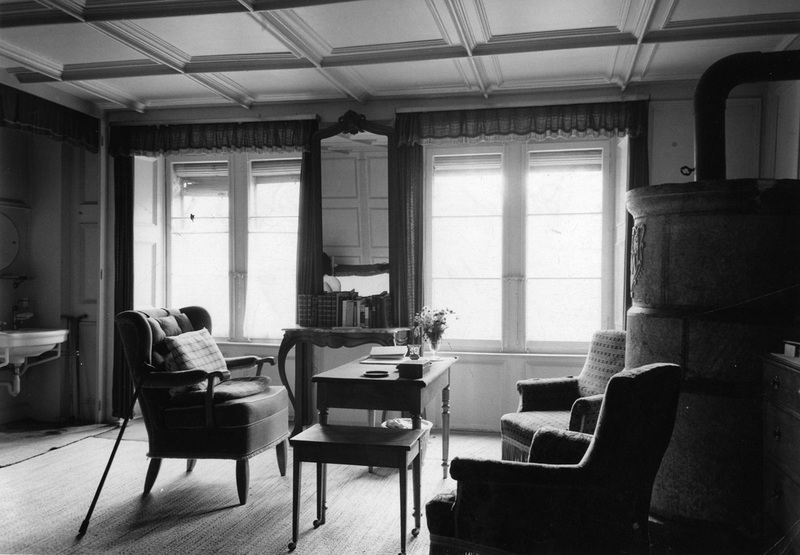 Here you’ll find information about his person, his work, and his friendship with Rilke. 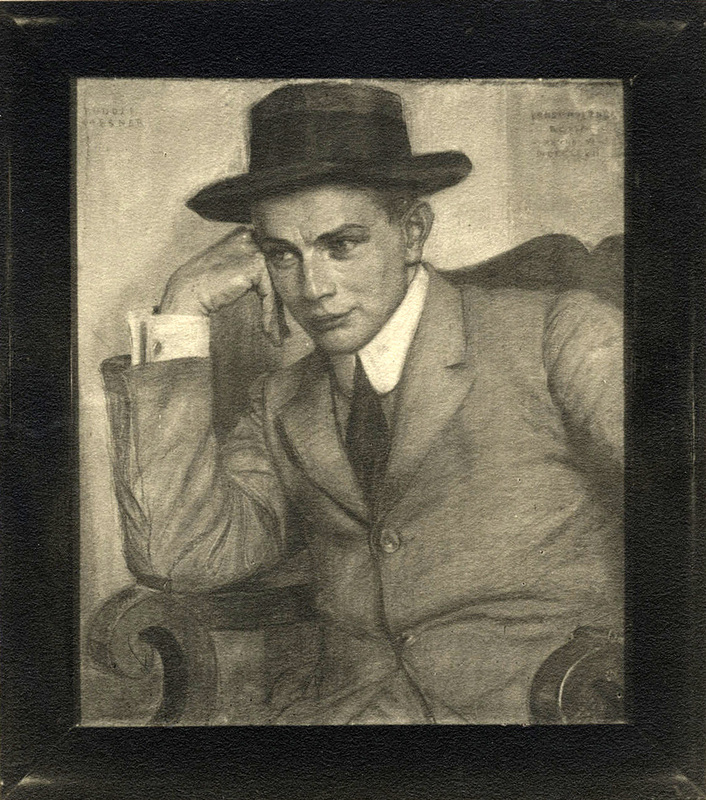 The author, essayist, translator, and cultural philosopher Rudolf Kassner was born in 1873 in Velké Pavlovice (Moravia) and died in 1959 in Sierre. He is descended from the family of a Moravian landowner. Open to new and diverse cultures, he travelled extensively in North Africa, India, and Russia despite the fact that childhood polio left him with a lifelong limp. An unusually well-read scholar, he returned from his travels with an intellectual and poetic cargo that informed many of his subsequent work. Rudolf Kassner was a musical and literary connoisseur and was interested in a wide variety of forms in which human thinking finds expression, including mathematics, physics, and the fine arts. In 1900, Kassner’s first work – Die Mystik, die Künstler und das Leben (Mysticism, Artists, and Life) – was published by Insel-Verlag in Leipzig. With his first book, Kassner emerged as a poet and philosopher in the Platonic sense, characterized by a naturalistic spirituality which was directed against the materialism of the 19th and 20th centuries. His works are pedagogical in nature: he wanted people imbued with the modern collective spirit to be able to make decisions and act independently as well. He wished them to develop their persons in such a way as to be able to incorporate themselves into the human community in an act of free will. In 1945, Kassner left Vienna to accept an invitation from Werner Reinhart, Carl J. Burckhardt, and the University of Zurich. In the following year, he settled in Sierre (Valais), where another fruitful stage in his authorial productivity began. Kassner’s first creative period extends from 1900 to 1908. A translation of Plato’s Dialogues and texts on the Indian spirit world and the philosophy of art belong to this period. In 1908, Kassner published “Melancholia: eine Trilogie des Geistes” (Melancholia: A Trilogy of the Spirit), which, in a discussion of the imagination, developed one of his fundamental concepts while also broaching the complex theme of ‘physiognomy,’ the latter of which would occupy him over decades and in multiple works. Physiognomy as a “template for the existential imagination” is the theme of some of Kassner’s most important works, including Zahl und Gesicht (1919; Number and Face), Die Grundlagen der Physiognomik (1922; Fundamentals of Physiognomy), and Das physiognomische Weltbild (1930; Physiognomic Worldview). According to Kassner himself, his third creative period began in 1938. With the beginning of the Second World War, he extended the spectrum of topics he wrote on to theological and moral questions. He explored problems of being and incarnation, essence and appearance. Along with philosophic works, works of remembrance appear in which the realm of incarnation is represented with unprecedented intensity. The primary works of this period, perhaps his most important, are: Buch der Erinnerung (Book of Memory), Die zweite Fahrt (Second Voyage), Transfiguration (Transfiguration), Das neunzehnte Jahrhundert (The Nineteenth Century), Umgang der Jahre (Course of the Years), Das inwendige Reich (The Inner Empire), Der Zauberer (The Magician), Der goldene Drachen (The Golden Dragon), and, finally, Der blinde Schütze (The Blind Gunman), which Kassner completed a few weeks prior to his death.